mataaitai (3 years ago) #3184272Need to photo-shop this so that you're walking away from an explosion. Need to photo-shop this so that you're walking away from an explosion. Shimakaze69 (3 years ago) #3185633No shame! Just how it should be! I love strutting around in my Shimakaze shirt or Amatsukaze hoodie. Here in 'Murica people don't appreciate this kind of fashion haha. P.S. 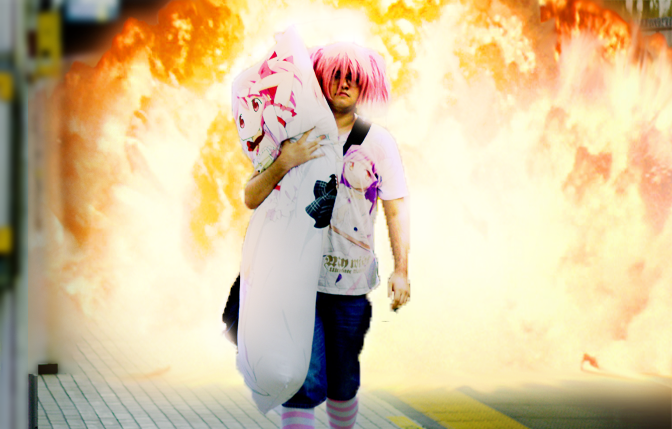 Totally jealous of your Madoka shirt! Well it's weird in every other place too..
No shame! Just how it should be! I love strutting around in my Shimakaze shirt or Amatsukaze hoodie. Here in 'Murica people don't appreciate this kind of fashion haha. FSLAR (3 years ago) #3185441Somewhere, a matching Homura is watching, preparing themselves. Somewhere, a matching Homura is watching, preparing themselves. liek dis if yu cri evrityme. Like a Boss! Love It.